What is Off Page SEO and Why SEO off page activities Important? What is Off-Page SEO and Why SEO off page activities Important? 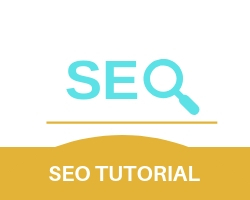 While On page SEO makes a website perform better internally, Off-page SEO activities function to increase the credibility of the website for search engines and the website’s target audience. Without Off-page SEO activities, it becomes very hard for a website to build credibility in the eyes of its target audience. The above activities build links for search engines known as Backlinks, the more backlinks a website has, the better its credibility with search engines. By Participating actively in online discussion forums the website can show its experience on the subject matter it’s based on. A small overlooked off page optimization technique is article submission and blog marketing as they can keep audiences continuously interested about the website.